with a personal trainer for a 1/4 of the price! Interested in a FREE 10 Day unlimited trial pass? That way there is absolutely no risk or obligation to learn how we can help you reach your goals! Yes, I'd like my FREE Trial! 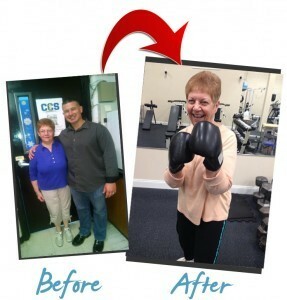 Welcome to Connecticut’s longest running Semi-Private Training That Burns more Fat Faster, Gets You Fit And Toned! 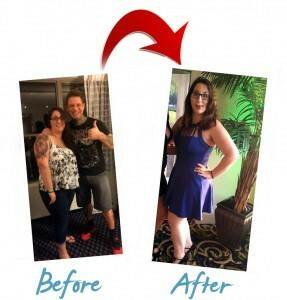 Horizon Personal Training, Voted the #1 on the leading review sites, is your fitness and fat loss exercise program and is designed & implemented by your Certified Personal Trainer to burn fat and get you in the best shape of your life! Learn more about each training type below! Feel welcomed by our staff and feel the camaraderie from your Team in these “HIIT” type Trainings! HIIT stands for High Intensity Interval Training which is the most effective way to get results fast! Your Certified Personal Trainer will work around any skill level and most injuries! 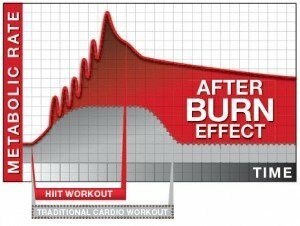 “HIIT” Low to High Intervals creates the AFTER BURN EFFECT! 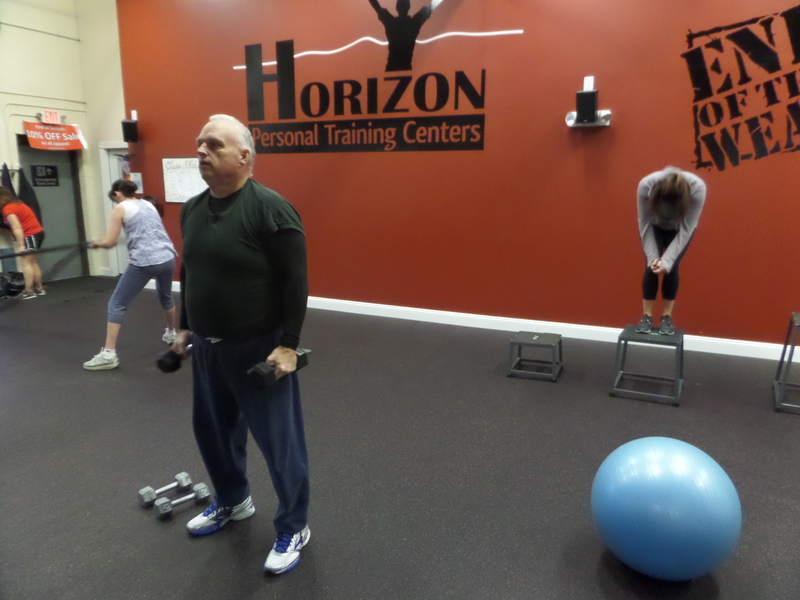 Horizon Personal Training’s Semi-Private program is a fitness, toning & fat loss program that is results driven. Your attendance to be the best part of your day! As explained below, Training’s focus on individualization with a small Client max per session as they are NOT “large group classes”. *Anyone who is enrolled in Semi-Private Training also gets full access to our Boot Camp Training! We PRIDE ourselves in offering Nationally Certified Personal Trainers at your disposal after consulting with you to find what your specific needs are, at the best prices! A $395.00 VALUE! ALL as a gift to you for taking the first step. We know you will love our service, but we understand that you don’t know that yet. This way we alleviate any risk before you decide! Our “HIIT Fit” Boot Camp Training class is far superior to other methods by producing rapid fat loss, increased cardiovascular capacity and increases in strength, endurance, muscle size and tone in half the time! Our class is fun and involves changes in exercises that are brief, infrequent and intense to prevent boredom while challenging each participant to perform at their personal peak performance. For beginners to experienced. Tone, Tighten and Burn Calories FAST! Our “HIIT Strength” Semi-Private Training is much more advanced than other methods by producing increased strength, power, muscle size, tone along with quick losses of fat, increased cardiac output and stamina in much less time! This enjoyable class trains muscles to their full potential and beyond to achieve fast progression. With limited mid-set rest, you will be challenged to progress to success. This class has a cardiovascular feel with the high intensity muscular gains! For beginners to experienced. Get stronger, tighter and more toned FAST! Our “HIIT Core” Semi-Private Training will train all of your core muscles. “HIIT Core” focuses on building core strength, tone, endurance, stability/balance and coordination. This core specific training is challenging but offers low impact so anyone at any fitness level can participate. Body weight exercises as well as resistance training, kettle bells, ropes, and plyo metrics will be used during your training experience. This is a fun fast paced training that will challenge you yet build core strength. Core muscle work is essential to strengthen the Body as a whole and connects the arms and the legs to a strong center of body (core). “HIIT Core” will build a balanced and symmetrical body strong and without weaknesses or imbalances. Get stronger, tighter and more toned in your core! 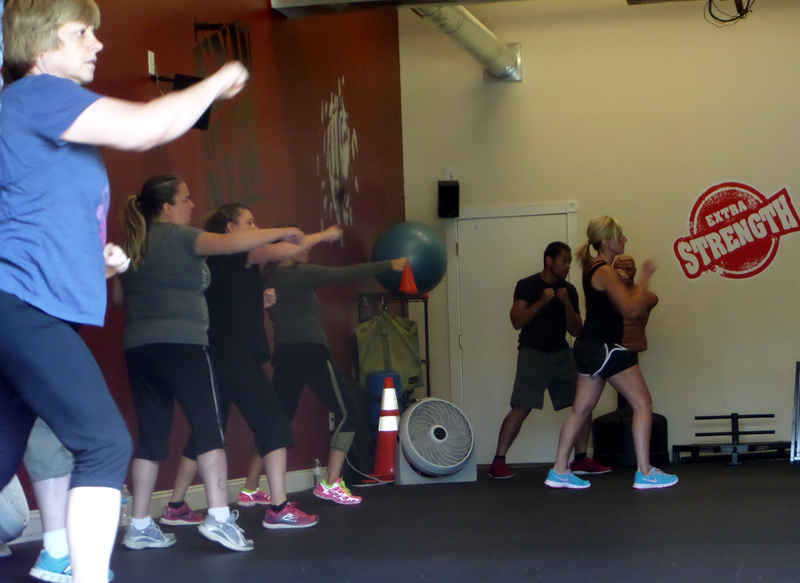 Kickbox Cardio is a fast paced kickboxing/muay thai cardio Semi-Private Training. The purpose of this workout is to burn max calories in a 45 minute time period in a very dynamic and fun way, while maintaining a relatively high heart rate. The class will consist of five rounds total, eight moves per round (30 seconds each) with 15 seconds of rest between rounds. The fifth round has 4 moves, each lasting one minute. This is a high intensity cardio class designed to burn calories. Click below to view our schedule or CONTACT US to learn more! Services are amazing! All trainers are friendly and very knowledgeable. 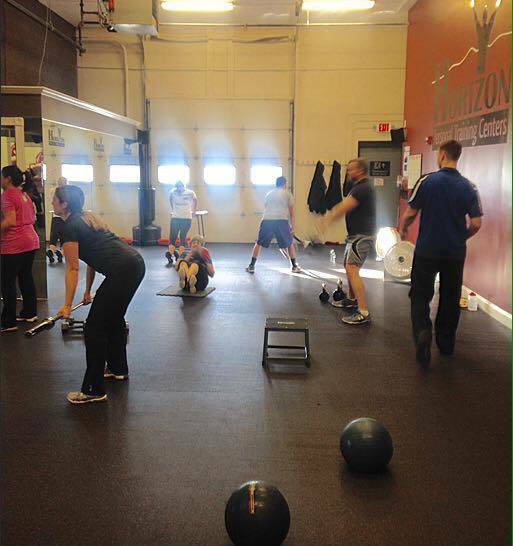 The classes are well put together and trainers push you to give it your all. Helpful and friendly staff. Non-judgment. Bill and everyone is positive, great energy. It’s not to overwhelming, it’s private and the staff is very friendly! Friendly trainers, supportive environment, not a crowded gym! Early morning group class times. 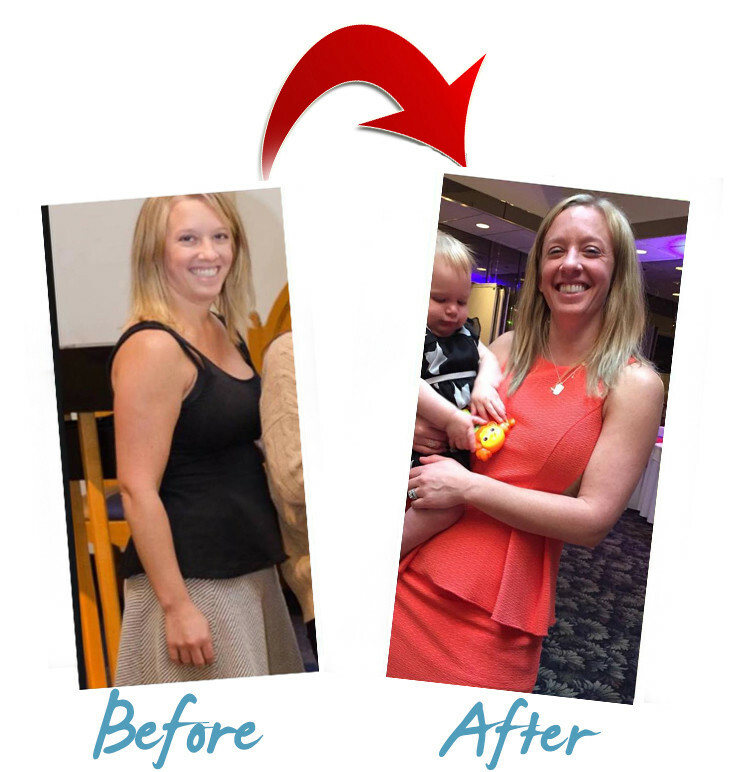 Trainers vary format and style of workouts regularly which helps keep me motivated! 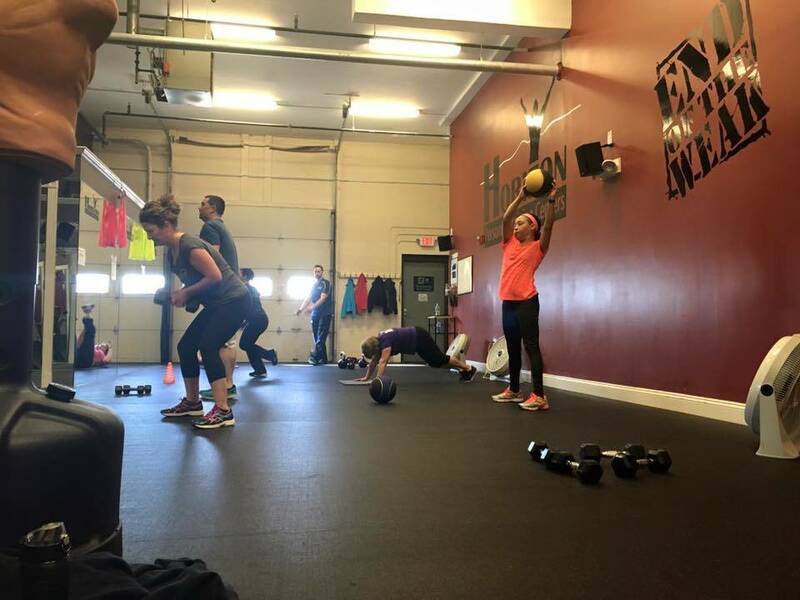 The friendliness of the staff, the cleanliness of the facility, knowledgable trainers, classes that support my fitness goals, nutrition plans that really work and an outlet for my favorite hobby (weight training, building a better, healthier body). Plenty of space to do my training! I like how private it is. There’s another a lot of people there when your training so it’s not very intimidating. To whom shall we send your 10 Day Pass?